You may have experienced this ‘syndrome’ before… you were having a challenge with someone or something. You then tried to figure out why you were feeling the way you were feeling. After a great deal of exploration and logically trying to piece together the origins of the issue you were experiencing and trying to figure out why it was there, you may have come to some type of realization or epiphany as to where it came from. You all-of-a-sudden experience some kind of release or ‘breakthrough’ and feel better. Weeks later, you happen to re-experience yet another similar issue only to be confronted with having to figure out again how you attracted the scenario or why you are experiencing this again. ‘Perhaps you missed something or didn’t go deep enough’ as your ego/left brain may consider. And on and on your mind goes. I reassuringly identify this now with my clients as analysis paralysis, a term I have heard many times before. I affectionately call it ‘fractaling’. A fractal is the image you see above… often created with beautiful and gorgeous designs and swirls… that are never ending and seemingly very much like weeds. If you understand weeds, then you will also understand fractals. 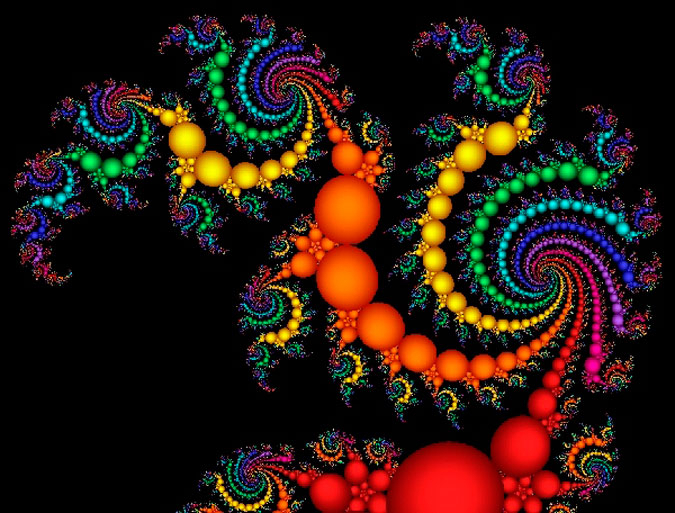 A fractal and the ego (analyzing why you have attracted a negative situation) are the same. It is possible that you will come up with a solution as to why you attracted it, what the benefit or gain is for you and how you can avoid repeating it. The ego/left brain, however, in its natural state of obliviousness or lack of awareness of itself, ‘fractals’. The result is a never ending hunt that will keep the ego searching for answers FOREVER without ever leading to a state of peace. This ‘fractaling’ or analysis paralysis is spreading as more and more people are becoming aware that they are creating their reality. However, in the pursuit of ‘correcting’ or ‘changing’ their lives, they are becoming lost in the never ending analysis. This is also prevalent in some therapy and coaching based models in which you analyse or seek to find the ‘why’ in what is going in your life. There is a solution to this, albeit one that will not soothe or feed the ego, thereby taunting it even more. The solution is simply to let go OR to breathe – something the ego will resist. You see the ego wants to figure out everything AND understand everything. At the same time, the ego blocks itself from every understanding anything completely. When it has the slightest understanding, it then finds new possibilities to explore. This causes fractaling. If you were to see this in action, it would be akin to a dog or cat chasing its tail – completely oblivious to the fact that it is chasing itself – as the ego likes to do. There are occasional times when exploring root causes is beneficial. However, this is more of a rarity than the norm and should be used sparingly. Over the past year, with most of my clients and of course with myself, I have been moving further away from this type of analysis paralysis – as we will simply keep analysing forever. The breathing technique that I teach during at events AND the Sedona Method are two excellent ways of letting go of the cause of challenges that come up. Peace – and therefore nothing to analyze! So remember, use analyzation sparingly and instead practice breeeattttthhing, let go, and avoid ‘analysis paralysis’! Very thought provoking, Josh. Thanks. I would like to send it on to several of my friends who I think would enjoy it too. Now this is what has been going through my mind recently as an approach to help some friends who have victimized themselves with the past. I too would like to send this article on to a few people who I think would benefit from it.